Are the terrible things we say online only terrible in repetition? 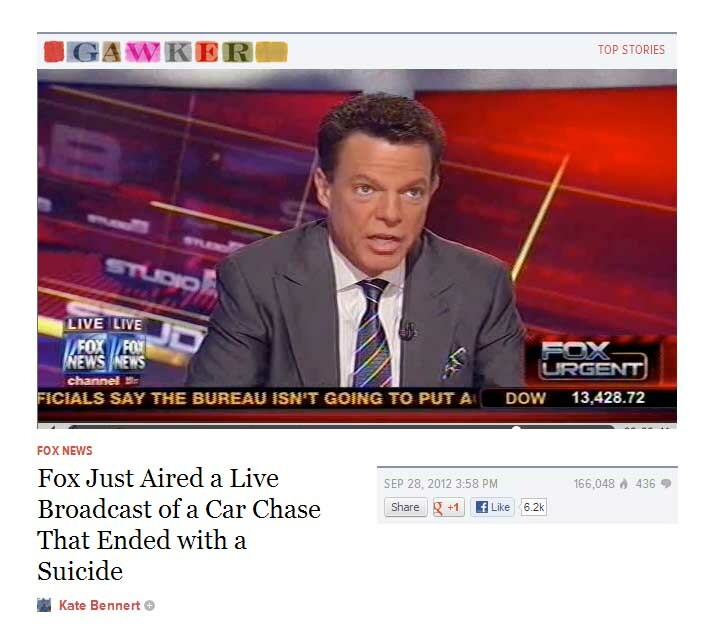 “You know, you wait for the end of these things, and then you worry about how they may end,” said FOX News&apos; Shepard Smith as the network chose to air a clip of a carjacker committing suicide by shooting himself in the head. Smith quickly apologized for the choice, saying, "And we really messed up. And we&apos;re all very sorry. That didn&apos;t belong on TV." The incident inspired writer Scott Smith. At a special Paper Machete at the Green Mill, he mused: "Maybe, in an unexpected way, there isn’t any harm in Gawker or Buzzfeed airing a clip of a guy killing himself when in our current media landscape these incidents aren&apos;t really worth the import they’re given. They only seem that way because they&apos;re everywhere now. Something isn’t just said, it’s retweeted, maybe hundreds of times, and that amplification gives it an undeserved status as a topic worth discussing. And then a week later we wonder why we were so mad." Does it seem weird to anyone else that we’re no longer talking about how the highest-rated cable news channel in America broadcast a live suicide? I invite all of you to review your own Internet search history to determine what you think of as news. Gawker’s misunderstanding is really very simple: The news is not that this suicide happened — as Gawker pointed out, an unhappy ending to a car chase is almost the point of airing it in the first place. No, the news is the context in which it occurred. But that’s the part of this story that’s missing on Gawker, Buzzfeed and almost everywhere else that posted just the clip under the guise of news. What made the clip newsworthy wasn’t the event itself but that it violated a standard Fox News had set (which, I know,"Fox has standards,” LOL!). The Paper Machete is a weekly live magazine at the Horseshoe in North Center. It&apos;s always at 3 pm., it&apos;s always on Saturday, and it&apos;s always free. Get all your The Paper Machete Radio Magazine needs filled here, or download the podcast from iTunes here.